Cancer fighting properties attributed to their high levels of folic acid, Vitamin C and anthocyanins. Promotes skin care benefits due to it’s high Vitamins C and B as well as it’s zinc and phosphorus. 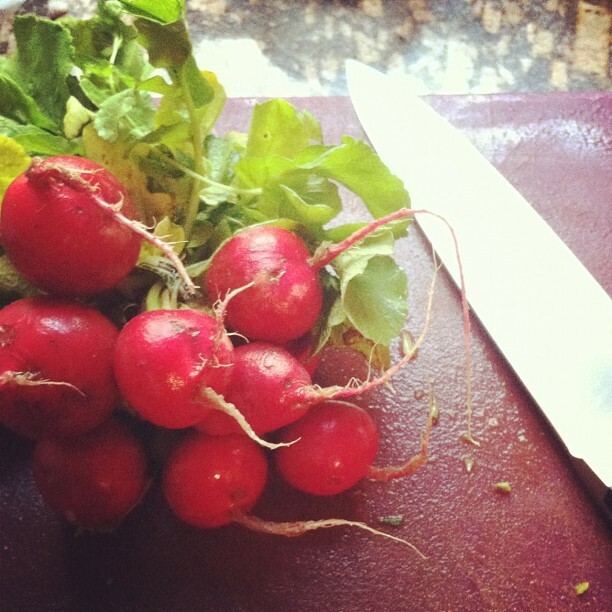 Some people have even used mashed radishes to aid dry skin or treat various skin disorders. Promotes urinary health by acting as a natural diuretic. Radishes contain sulphur-based compounds, which help to promote and regulate the production and flow of bilirubin and bile from the liver to the gallbladder and into the small intestine, thereby aiding in digestion, constipation, jaundice and other intestinal ailments. These properties make radishes an excellent detoxifying agent. I found this last point rather interesting and decided to dig a little deeper to find out exactly how the radish promotes healthy digestion. Remarkably, even though the radish has been used for hundreds of years as a natural cure for digestive troubles, no real research has been done up until now to look at this phenomena at the biochemical level. In January of this year, a group of scientists set out to test how radishes affect the gallbladder tissue. In an article published in the the Journal of Complementary and Integrative Medicine, this group showed that treatment of gallbladder tissue with radish extract stimulated a concentration-dependent contraction of the organ. You might be thinking….big deal, so what does that mean? Well, the gallbladder is an organ that sits underneath the liver and is responsible for storing and concentrating bile, a dark colored fluid produced by the liver that aids digestion and the breakdown of fats. After we eat, the gallbladder contracts, which stimulates the flow of bile through the bile duct and into the small intestine, thereby releasing the bile and promoting healthy digestion. If the flow of bile from the gallbladder to the intestine becomes obstructed, either due to gallstones or incomplete emptying of the gallbladder (biliary dyskinesia), this can lead to stomach pain and even jaundice if the bile backs up into the liver. So, you can see how the radish with it’s gallbladder contracting properties might be the best food to add to any meal or as an after-dinner cleanser. Enjoy and happy digestion! Combine olive oil, lemon juice, shallots, salt and pepper in a small bowl. Whisk vinaigrette ingredients together and set aside. 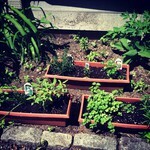 (Feel free to add more salt, pepper or lemon, depending on taste). Wash vegetables and slice accordingly. Heat 1-2 tbsp of olive oil in a large saute pan on medium heat. 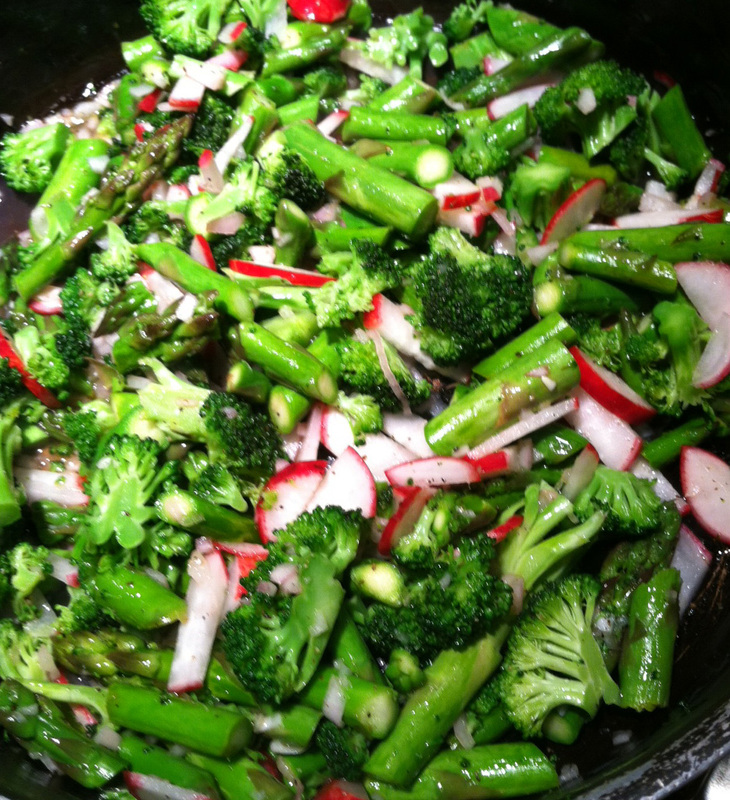 Add asparagus and broccoli to the pan. Place lid on pan and cook for 2 min. Toss vegetables, replace lid and cook for an additional 2 min. Remove from heat. You want the vegetables to be bright green and still have a bite. Stir in the radishes and lemon zest. Pour on the vinaigrette and toss to incorporate evenly. Contractile effect of radish and betel nut extracts on rabbit gallbladder. Ghayur MN, Gilani AH.J Complement Integr Med. 2012 Jan 11;9(1):Article 3. doi: 10.1515/1553-3840.1587. P.S. 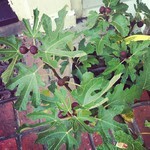 Look at my new developments…herb garden and FIG TREE! Previous Post How can blueberries help prevent memory loss? Hi ma! I just made sure to add some radishes to my salad this afternoon. Love you!